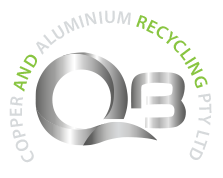 QB Copper Recycling is an expert company recycling non-ferrous metals for years in Perth. Get in touch with us if you want to dispose of your non-ferrous scraps from your property. At QB Copper, we comprehend the idea of non-ferrous piece metals, that these sorts of metals are the slightest destructive, minimum responsive metals that don’t contain any iron, consequently, don’t get pulled in to magnets by any means. These sorts of metals are anything but difficult to reuse because of its mellow compound response. Our abilities, skill and experience of years assure you that we take additional care to reuse a wide range of non-ferrous metals utilising the most secure eco-friendly strategies to guarantee no harm is caused by our nature. Our expert and skilful staff know the correct methods to wreck, dismantle, melt and recycle a wide range of non-ferrous metals in Perth. Do you want to safely dispose of your non-ferrous scraps from your home or office? Contact us Today! At QB Copper, we comprehend the significance of safety when disposing of non-ferrous scraps in Perth. This is the motivation behind why we pay top dollars for your metals – we’ll purchase from you and reuse all the recyclable parts that will be used in different areas and for different purposes. 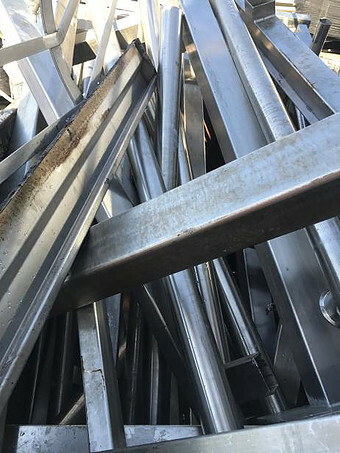 Next time you are clearing non-ferrous scraps from your property, ensure you consider pitching them to us, and consequently, get top dollars for all your non-ferrous piece metals. Stainless steel, and so on. The list of nonferrous metals that we will recycle is nearly endless. To obtain a list of our metals, or to receive a cash quote for your metals, please contact us. The motivation behind why we are so quick to purchase your non-ferrous scraps is to reuse them and utilise the parts for different reasons. Once your pieces are discarded at our recycling centre, we’ll take additional care in isolating the parts and dismantle, wreck, mould, and reuse as per the compound components display in them. Distinctive metals require diverse procedures with a specific end goal to avoid hazardous complications while Recycling of Scrap Metals. This is the reason we select the best staff with relevant skills and expertise to help us conduct eco-friendly non-ferrous scrap recycling. At QB Copper, we know how many challenges you have to go through to safely dispose of your non-ferrous scraps. You can’t just dispose them at any landfill. This is why we offer a range of bins for hire. Complete the form on this website and we’ll provide you with the right sized bin.